Are you creating Raving Fans for your business? 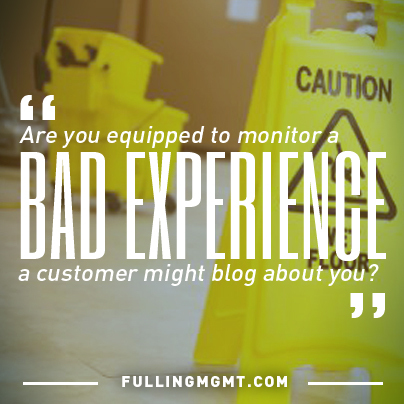 “Just having satisfied customers isn't good enough anymore. If you really want a booming business, you have to create Raving Fans." - Ken Blanchard, author of Raving FansI love to read stories about excellent customer service. Better yet, I love to experience incredible customer service. I was reminded recently of the difference between good customer service and going “above and beyond” towards creating Raving Fans. Check out this awesome letter I received from one of our client’s employee’s right before Christmas. Your employee, Starla Kendricks, went far above and beyond what I'm sure is required of her in her job description. I have a deduction taken out of my checks for bankruptcy which took place a pay period sooner than expected and the trustee office was not going to return to me. In a nutshell, this is the extra monies I was planning on for Christmas and as you can imagine, I was incredibly frustrated and Christmas at our house was cancelled. Ms. Kendricks took it upon herself to make some calls and to both the payroll company and the trustee's office and they confirmed that it was additional payment. I will now be getting that money before Christmas, which I was told just a few days ago from the trustee's office that I would not receive at all. Now that is how to create a Raving Fan! Thank you Starla for providing a great example of serving others. 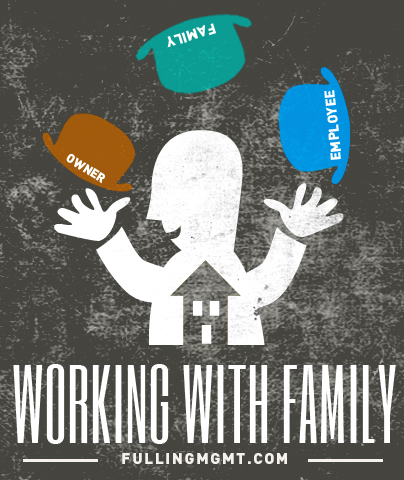 Have you ever worked for a family owned business and you were not part of the family? This was my situation before starting my own business, Fulling Management and Accounting. The business had become a revolving door for the owner’s wife, mother, cousins, and so on. 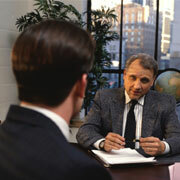 Each time a family member would leave, the business culture became more and more negative. Working with family can be difficult. [column col="1/2"]You are likely familiar with the guys (and beards) from Duck Dynasty. Obviously, they are a sample of how family businesses can be extremely successful and beneficial for the family. However, in some cases, family businesses can bring blurred lines as it relates to management decisions. The added stress of family relationships in the work place can lead to decisions that would not otherwise be made. Small business owners are forced to wear many hats and sometimes these hats can overlap and cause friction. Knowing what your role is at any given time is imperative, not only to the success of the business, but to the family unit as well. One of my favorite stories of a family owned business was from a friend of mine named Joe. One morning Joe was working diligently at his home office to get an important report finished up. His wife, who served as his administrative assistant, walked into his office, sat down and started talking about the kids, laundry, honey do list, and all other home related items. Joe, in a frustrated tone, looked at his wife and said, “I am at the office and will be home at 5pm.” He promptly resumed his work. 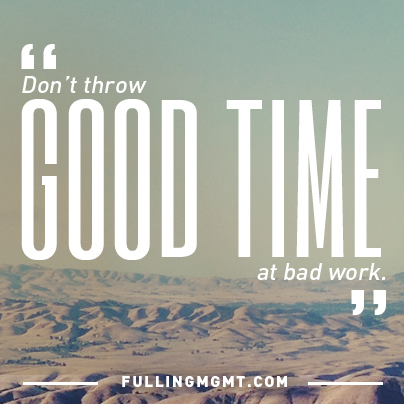 Obviously, working with family isn't always easy. While they can laugh about the short conversation now, Joe and his wife learned an important lesson about identifying and respecting the hat being worn at the time. Knowing your role at any given time is imperative to business and family success. The courage to be proactive in employee conflict resolution will allow you to build relationships and win as a team. Fraud prevention measures are a necessity regardless of your company's size. Learn 10 helpful checks and balances that can save you from costly surprises. Have you ever received wise leadership advice from someone you least expected? Even though he has never owned a business, some of my best business and leadership advice has come from my father-in-law. In Andy Stanley's message titled Time of Your Life, Andy recaps the story of Moses and his father-in-law Jethro from Exodus 18. As the story goes, Moses had led the Israelites out of Egypt and as many as two million people were now under his leadership. Moses became inundated with petty disputes among the people and would end up serving as judge for entire days at a time. Can you imagine dealing with every little dispute for two million people? Handling disputes between two little girls was challenging enough for me when my daughters were young! “What are you doing? Why are you doing this alone?” Jethro asked Moses. Give your best time to what makes the biggest impact. What time of the day or week do you have the most energy and focus? Make sure you are using these times wisely and focusing on the tasks that are important, not just urgent. Develop other leaders. In his bookThe 21 Irrefutable Laws of Leadership, John Maxwell refers to this principle as the Law of Reproduction. He says, “It takes a leader to raise up a leader.” When you invest in developing other leaders, you create opportunities for them and free you up to focus on what’s most important. Who can you begin mentoring to become a leader in your organization? Have you ever been in a situation where you absolutely needed good customer service but instead you were severely disappointed? My chest felt like it was going to explode as I stumbled off the racquetball court that morning. I wasn’t sure I could even make it back to the locker room as I was short of breath and light headed. I just needed a place to lie down. Sometimes I think we overcomplicate elements of business and need to get back to some basics. I recently was reminded of one of these basic principles: know your customer. Our staff was invited this summer to attend a conference put on by One Year Adventure Novel (OYAN), a new client of Fulling Management & Accounting, Inc. OYANis a publishing company specializing in educational materials primarily geared for the homeschool market. The conference was hosted at a nearby university and was focused on teaching high school students how to write stories. Since OYAN was a new client to us, we really were not sure what to expect. Our assumption was if they had 25-30 local kids show up for the weeklong workshop that would probably be a big success for them. We could not have been more wrong! As we entered the large auditorium for the opening ceremonies, we were pleasantly surprised to see over 220 kids, along with their parents, actively engaged in the program. Kids and families had traveled from all over the country. In fact, some had even traveled from around the world to attend the conference. One of the owners named Carrol, or “Mrs. S” as the OYAN community affectionately knows her, gave the opening remarks. Now giving the “opening remarks” does not adequately describe the level of enthusiasm in which Mrs. S engaged the audience. She was working the crowd like a rock star. For a minute I thought I was at a One Direction concert (or Everly Brothers concert for those of you that are over 50). As the initial frenzy subsided and Mrs. S began to highlight some of the individual student’s accomplishments, I noticed something interesting: many of the kids had dressed up in costumes. These were not your run-of-the-mill Halloween costumes. From where I was sitting, some looked as though they belonged on a Hollywood set. The costumes represented some of the characters in the stories the kids had created. OYAN has taken the art of story writing and made it fun. They encourage kids to find positive ways to express their creativity through their writing. It was evident that OYAN has a relational mission that allows them to truly know their audience. By knowing the students (the customer), they are able to create educational materials and workshop content that inspires creativity with their audience. (I wish my high school English teacher would have had this resource). Be Available – Make sure your customer can reach you or your team. Forums – Create forums for your team and your customers to share ideas and thoughts about your products or services. Social Media – Facebook, LinkedIn, Twitter, etc. Find out where your customers hang out in these areas and join them. Workshops and 1-on-1 meetings – There’s nothing like spending some face time with your audience and hearing their story. P.S. I’ll be working on my costume for next year's OYAN conference. Have you ever gone grocery shopping without some type of shopping list? Maybe it’s written or memorized, or if you are like me, your list is typed out and organized by grocery aisle (this is not recommended for those of you who are “right brained”). While we may have some flexibility when doing grocery shopping, there is little room for error when it comes to buying a business. [/column] [column col="1/2"]Buying a business is obviously an important decision with many moving parts. When considering whether or not to purchase a business there are many things to consider. Our due diligence checklist shown below can start you on the path to buying and operating a successful business. [/column] It is important that you find out all you can about the company you are buying. Depending on your industry and the nature of the purchase, there may be additional items to add to your checklist. In many cases a business purchaser will use the services of an accountant and an attorney for some due diligence process. By identifying issues in advance you will be better prepared to negotiate the final purchase contract and less likely to have disputes after the transaction has been completed. “Where in the world did you learn about that?” Bruce asked me recently. What Bruce didn't realize is the power of social media and how his social media footprint can impact his business. [column col="1/2"]Earlier that day I had sent him an email telling him what a good job he had done on a recent promotional video for Howard County Missouri. The video was well done and not only promoted the economic development in the county but also highlighted Bruce’s company Addison Biological Laboratory, Inc. Originally the video had been posted to YouTube and on the Moberly Area Economic Development Center (MAEDC) website. From there, a visitor to the MAEDC website shared it with his contacts on LinkedIn. As a Connection to the LinkedIn user that shared the story, I saw the video in my daily LinkedIn feed and contacted Bruce to congratulate him. Now I am again sharing his story and so the message continues. So what is being said about YOU online? A great tool that we use to manage our social media footprint is GigaAlert.com. The service offers free tracking and reporting on a regular basis and allows us to track what is being said about our company in articles, websites, blogs, and other online environments. I had the chance to sit down recently with Kevin, a business leader in Missouri, and go through the DISC communication profiles for him and his staff. It quickly became clear that creating a positive culture had to be a top priority for his business. [column col="1/2"]One of the recurring themes that we discovered was a growing culture of dissatisfaction. 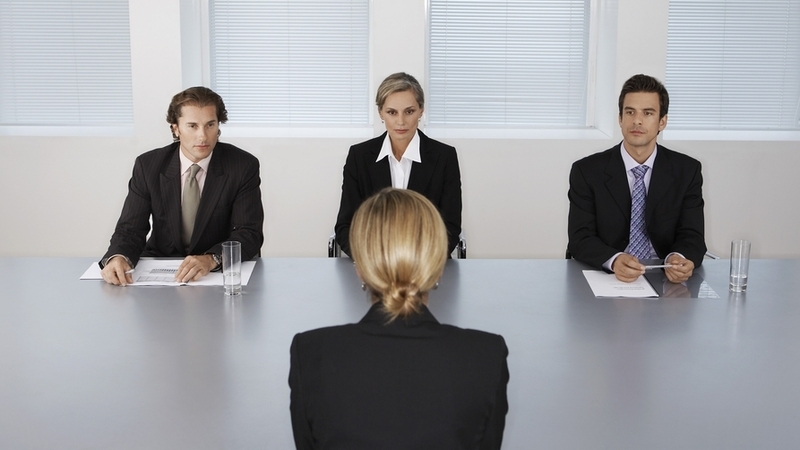 The profiles indicated that although the company had been a great success recently, there was a huge disconnect within the team as many felt they were not appreciated. We discovered that some of the staff simply wanted affirmation, such as a “pat on the back” or a verbal “great job.” Others were hopeful for tangible recognition such as increased compensation, promotion, or a bonus. Staff and management had begun to take on the “what’s in it for me?” attitude. This resulted in poor work habits, declining customer service, and an overall poor culture within the company. If you had asked Kevin for the major reasons for his company's recent success, he definitely would have recognized the importance of his team. However, through this process, he realized that he was not doing a great job of making sure they know how valuable they are to the company and how grateful he was for their work. Think back to someone who mentored or invested in you to help your career. Give them a call or write them a note to say thank you. Then encourage your team members to do the same for someone who has invested in them. In the last week, who on your staff has done a great job? Go tell them thank you and be sure to be specific. When they know that your gratitude is genuine and their hard work is noticed, they are excited to be doing great work for the organization. How, specifically, can you better equip each person on your team for success? Your team wants to be productive and successful as much as you want them to be productive and successful. When you ask them what they need or how you can help, you have the opportunity to resource them and unlock their full potential for your company. Often times success simply comes down to preparation. Learn how preparing for success in business can allow you to capitalize on opportunities. I've been playing racquetball for several years. When I was in college, I actually took racquetball as a class for college credit. I knew I was in trouble, however, when the 65 year old female professor could easily beat me and the rest of the wannabe players. Although my racquetball skills have improved a little bit since my demoralizing college days, I've come to realize my dreams of being a professional player probably aren’t in my future. That was until I beat the racquetball champ. It was a Tuesday morning. I was off on my regular morning routine of hitting the gym for a quick workout and a couple games of racquetball before heading in to the office. That morning, among our regular motley crew of out of shape old guys, was one of the league's best players. As we divided up who would play who, I drew the short straw and was pitted against the champ. Great! Exactly what I was looking forward to - a dose of humility at 6 a.m. in morning! The racquetball courts have one solid wall of glass that allows those waiting to play to watch the games in action. The game began along with my anticipated lesson. Midway through the match I was surprised that I was actually keeping up with the champ. The score was 7 to 7, with the winner being the firs t to 15. I was making some great shots that he wasn't able to return. We went back and forth and back and forth until it was 14 to 14. Next point wins. It was a hard fought match, but I finally scored the winning point. Yes! I had done it. I had beaten the champ! My confidence was sky high. I was hopeful some of my buddies, who were waiting to play next, had seen the incredible feat that I had just accomplished. Sure enough they had. When I looked back at the champ, I noticed he had in fact played the whole game left handed instead of his normal right hand. He might as well have played with one hand tied behind his back! My ego was quickly diminished and my victory celebration was short-lived. As I look back and laugh at that story, I wonder how many times I've seen business owners use “assumed good data” on which to base their decisions or celebrations. I met with a deck building company years ago that had gross revenues of over $1,000,000 the year before. Their goal was to double those sales the next year and they were well on their way. When I met with them, they were struggling with cash flow. “We don’t understand. If sales have doubled, why are we still struggling?” What they failed to look at is they were actually losing money every time they built a deck. So by doubling their business they were actually losing money at twice the rate of the year before! Think about it: What decisions or celebrations have you made without having all the right information? You, like me, may set up crazy New Year’s resolutions. In 2010, I’m sure eating better and more exercise were at the top of my list, but the goal I still remember was for me read 20 books by years end. That may not sound like much to you, but for someone who had averaged about 4-5 books a year, that was a BHAG (Big Hairy Audacious Goal). When I’ve taken the time, I’ve always enjoyed novels. Some of my favorite Christian novel writers are Dee Henderson, Frank Peretti, Tim LaHaye, Jerry Jenkins and Ted Dekker. All are very creative writers that offer suspense-filled story lines. 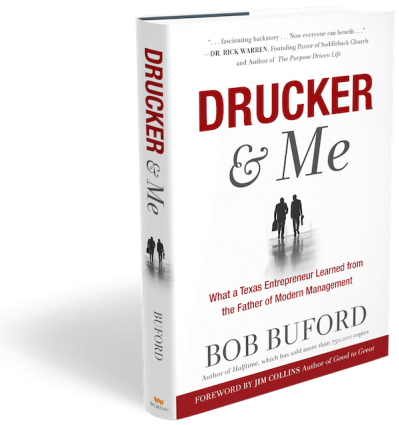 Although my reading goal did include some novels, I also wanted to begin reading about different business strategies and ideas. My plan was to focus on book topics outside of the accounting field so that I could better serve our clients in overall business strategies. As I began working towardmy goal of 20 books, I discovered that I really enjoyed reading. Setting aside designated times for reading. This made it part of my regular scheduled routine. Recording my reading progress and reporting it to my staff along with a summary of each book. You would be amazed how a little accountability can be a big motivator. At the end of 2010, as I looked back over the list of books that I read, I discovered that I had actually read over 50 books that year! (I wish I could say I accomplished the same positive results with my diet and exercise resolutions).Better than hitting some arbitrary book count though, I have re-energized my passion for learning and love the creative ideas that have been generated though the wealth of information that I've been exposed to. A great tool to help you keep track of your reading is www.shelfari.com It allows you to create an electronic bookshelf of all the books you read as well as easily comment and post your reviews to other social sites like LinkedIn, Facebook, and Twitter. You can check out my profile and see all the books that I've read at: http://www.shelfari.com/rustyfulling Since early 2010, I've been able to read over 150 books and I'm always looking for the next great read. What would be on your top 5 recommended reading list?